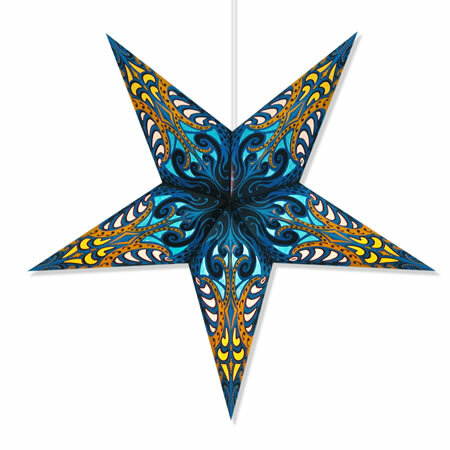 Paper-backed cutouts make this star lamp glow like a stained glass window. This lantern measures about 24" across and 6" deep, ships flat with complete assembly instructions. 12' electric cord with on/off switch optional for a little more. 40 watt light bulb not included. 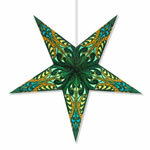 5 point star lamps with tissue covered cut outs.